Hotel Azur, Marsylia, Francja : Rezerwuj teraz! 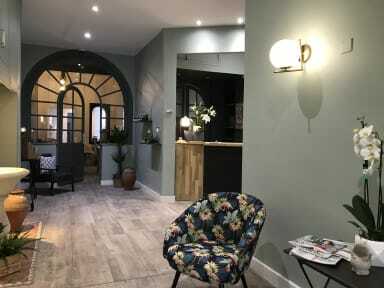 Welcome to Hotel Azur in the heart of Marseille, located on a quiet street a short walk from the famous Canebire, near to the Old Port and 5 minutes from Saint Charles station, close to public transport and not far from the motorway slip road. Enjoy a business trip or relaxing stay with friends or family. Hotel Azur has received the 'quality label' for traditional and authentic hotel services for over 3 generations. with advice about culture, gastronomy, shopping or walking tours. 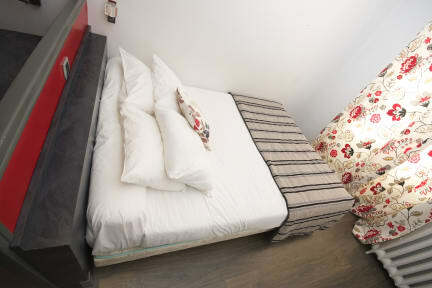 The sound-proof rooms, some of which have a view of our planted garden, all have bathrooms with hairdryer and also television all our rooms are air conditioned. We can provide everything you need for a good night's rest. At Hotel Azur, you will enjoy your breakfast with home-made pastries, served in our sunny garden. Breakfast is not included in the price online but is available for 8 per person. We have a 48hrs Cancellation Policy .